Unravelling the mysteries of boxes and sleeves. Disclaimer: Grab a cup of tea, this might be a long one. During our Q&A session at the Blas na hEireann Irish Food Awards, two lovely ladies by the names of Jo and Clair from the Busy Botanist said that knowing what to ask for in their packaging was one of the things they found most difficult to get their head round. So we’re going to try our hardest and debunk these baffling terms once and for all. 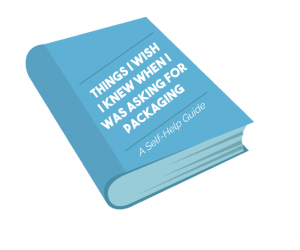 At PPP we don’t expect you to understand all the ins and outs – we’ve got that covered, but for your own peace of mind knowing what to ask for and making it clear what kind of packaging you’re after can make the process a little bit easier. After all, we all like to act like we know what we’re talking about. In short, a forme is a wooden board with steel rules in it that cuts out the design of your box and sleeve, and turns it from a flat sheet into your packaging that can then be folded and glued. The cutting forme is a one-off cost and like we said, is entirely unique to your product. So, why are we telling you about cutting formes? Well sometimes we get asked for quotes for a ‘standard sleeve’ or ‘standard box’, and the truth is there is no such thing as a ‘standard’ box or sleeve – as everything is made to fit your specific product. So let’s discuss some of the different sleeves and boxes you can get and what you can ask for. Typically, you can get small, medium and full-sized sleeves. All of these sleeves can be shaped. When we refer to the size we really mean how much the sleeve covers the primary packaging (tray, box etc). Here’s a few examples below of a small, medium, and full-sized sleeve, and a shaped one. Well, boxes do quite literally come in all shapes and sizes. Most common? 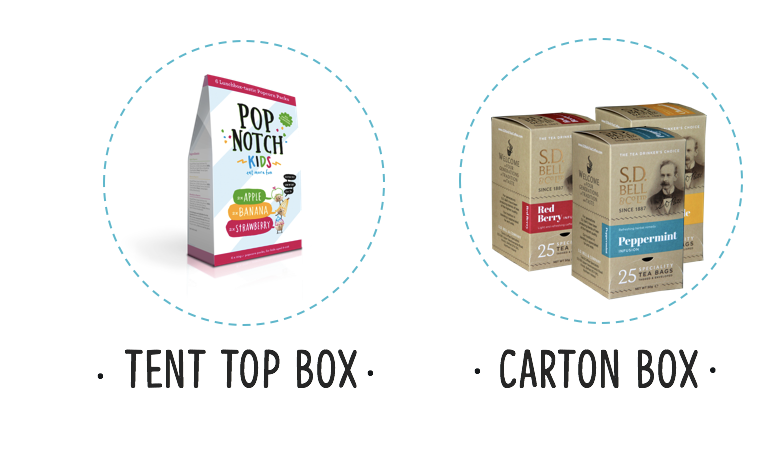 Your everyday carton box, or a tent-top box. (See Below). But if you’re after a box with a lid, or one with a Eurohook so it can hang up in the shop we can cater for that too. And if you’ve got more than one product to go into the box? Not a problem – we don’t want to blow our own trumpet, but we’re pretty good here at designing the perfect insert to contain and present multiple products perfectly. Ok, onto ‘ergonomics’. Actually – scratch that, we’re trying to get rid of the jargon here. Ergonomics here refers to the ease of use of the packaging for you and your customer. You already know what style of box you want, but how do you want your customer to open your product? 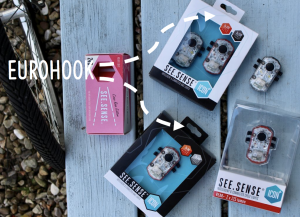 What’s the easiest way for you to pack your product? What makes sense to both parties? Well there’s four types of closure styles you can get. The two smaller flaps opposite each other are folded inwards, the larger then folds over the two and tucks in to close the package. The two flaps opposite each other are folded inwards. The top flap folds over, half covering these, whilst the last flap is pushed through all three to secure the closure. This one is nice and easy, the packaging is designed so that when it becomes a 3d shape, the bottom crash locks into place, with no folding or glueing required. Consists of four flaps. The two horizontal flaps fold inwards first, then the two vertical flaps, with one of them glued. The flap that needs to be glued will have a white line bar on it – known as a glue tab. Skillet boxes need to be machine glued, so keep this in mind when asking for one. Another two terms that may come up occasionally are two measurements – gsm and micron. Now, these two are commonly mixed up with eachother. GSM refers to the weight of the board per square metre, whereas Microns is the measurement for the thickness of the board. Typically, if you’re looking for a more luxury kind of board for a box or sleeve, you’ll be asking for a higher micron thickness if it’s appropriate for your product. Now, in reality your design people will have all this stuff already worked out. Or, if you want our help, we have some very talented folk in our design department and sales office who can help steer you in the right direction, or help you achieve exactly the look you want. So you don’t really need to know all this, but in the off-chance that you do, we hope this helps make things just that little bit simpler.